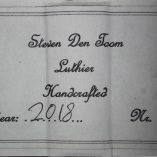 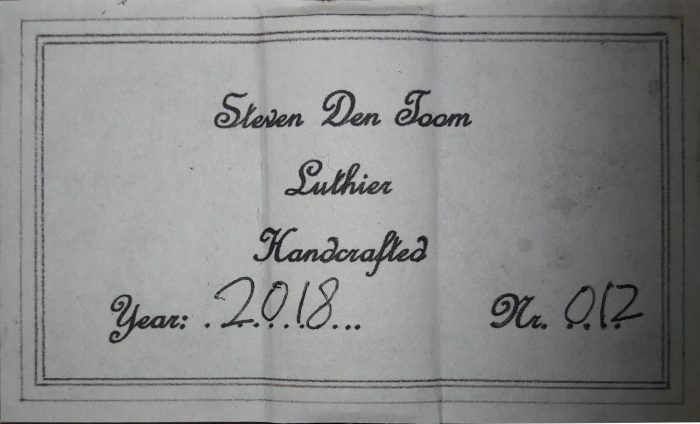 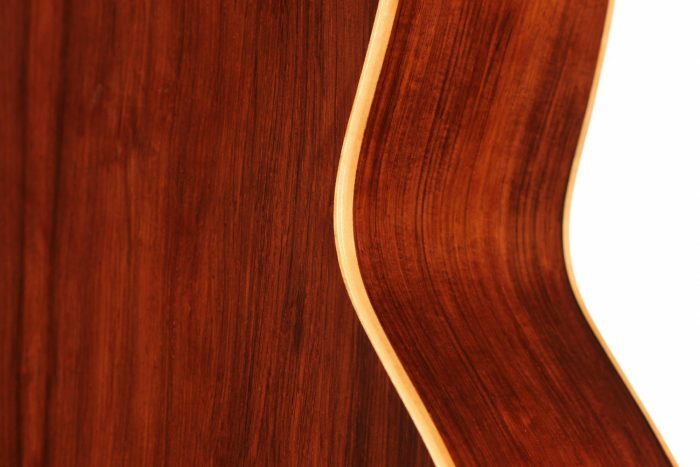 Steven den Toom is a Dutch luthier who set up his workshop in Germany in 2016. 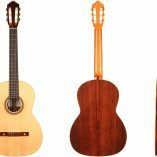 He previously followed an extensive guitar building course in Belgium where he developed a true curiosity and passion for the Spanish traditional guitar making. 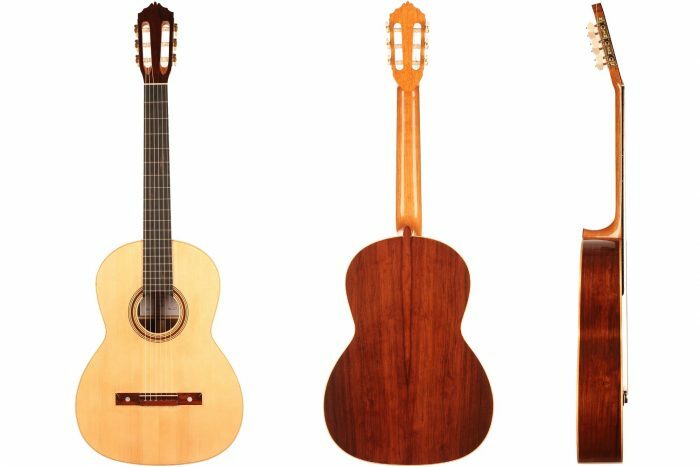 Vicente Arias, Antonio de Torres and Francisco Simplicio’s guitars are his major sources of inspiration, and their influence can be felt in his lightweight, dynamic and responsive guitars. 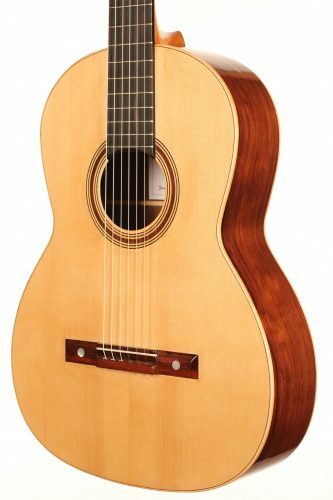 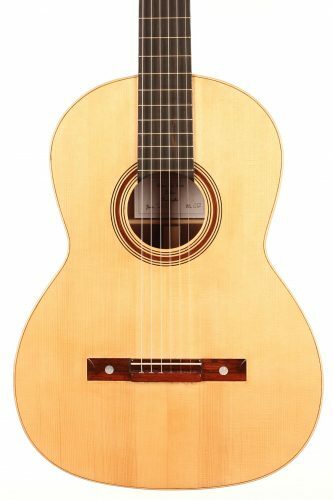 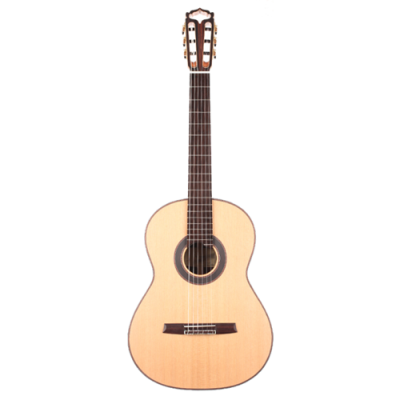 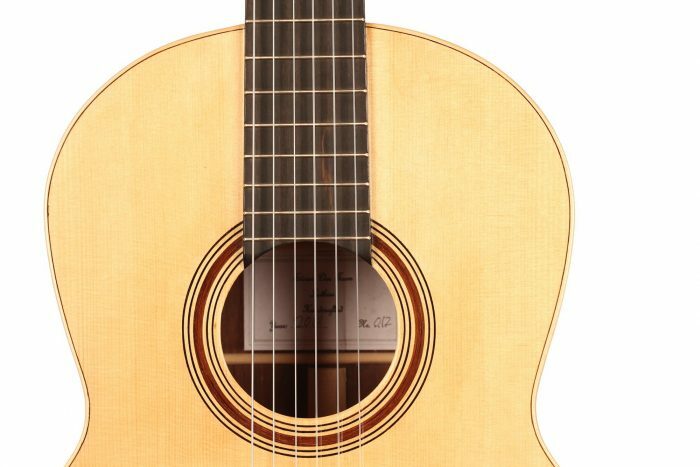 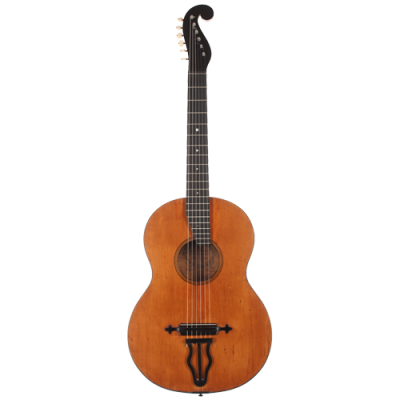 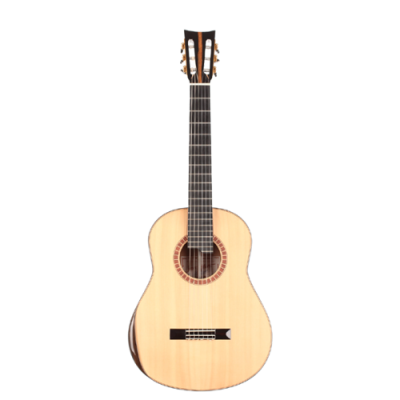 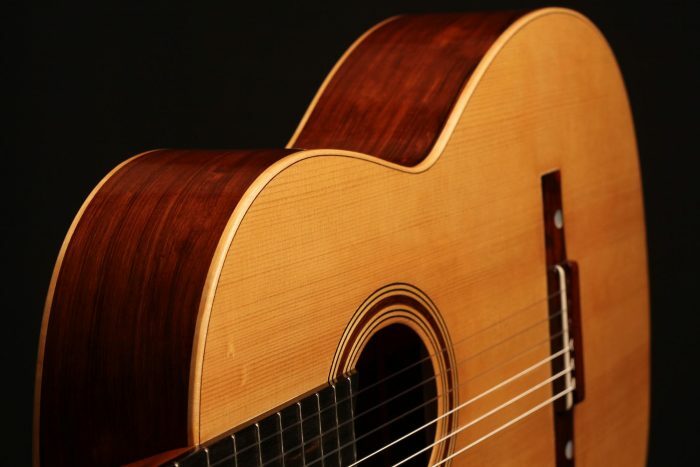 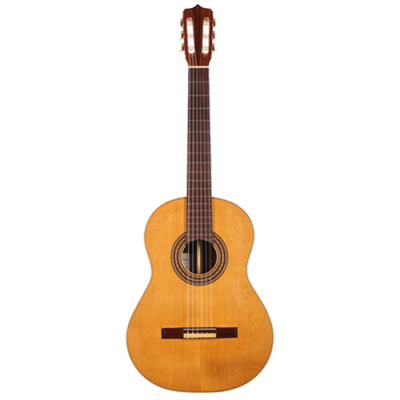 This beautiful guitar has a very traditional Spanish appearance, and one must say that the very mature tone also reminds of the warm singing Spanish guitars of the late nineteenth / early twentieth century. 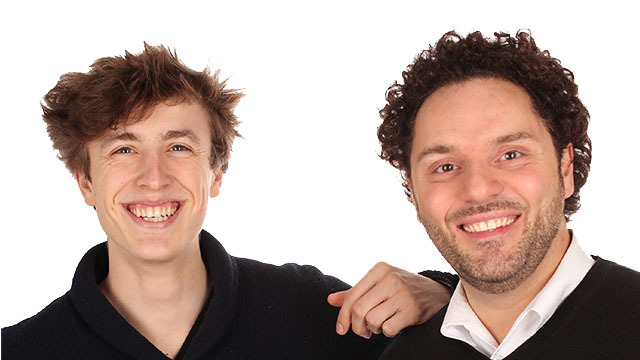 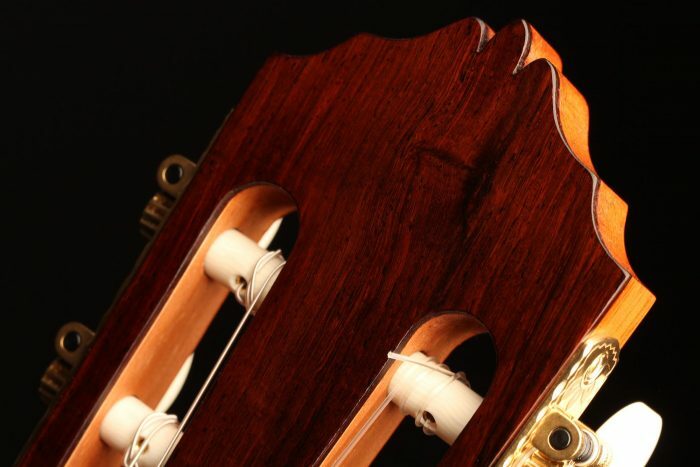 The round sweet trebles are very spontaneous and go very well along with the sustain-full traditional basses. 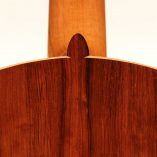 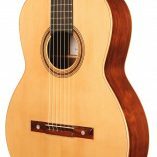 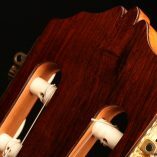 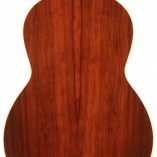 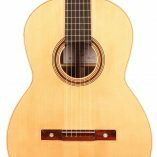 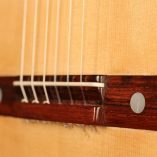 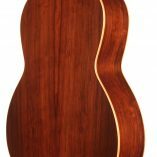 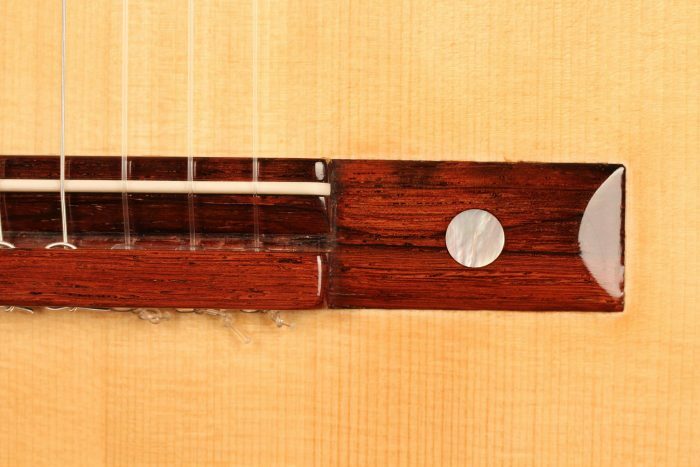 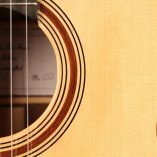 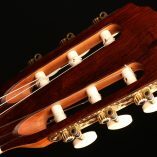 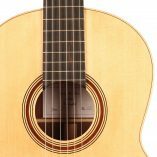 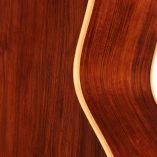 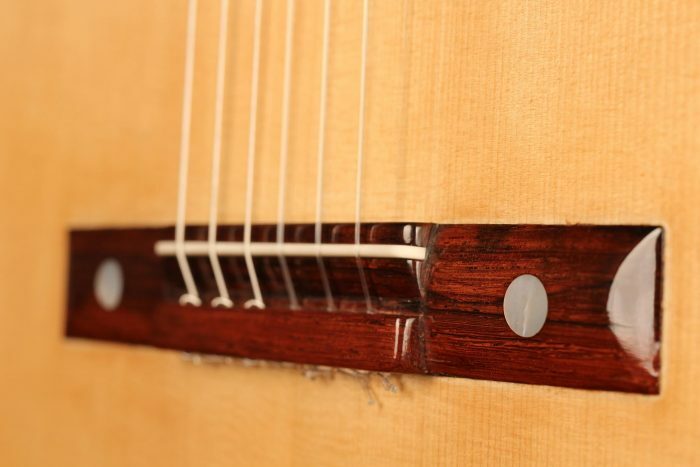 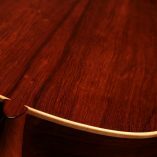 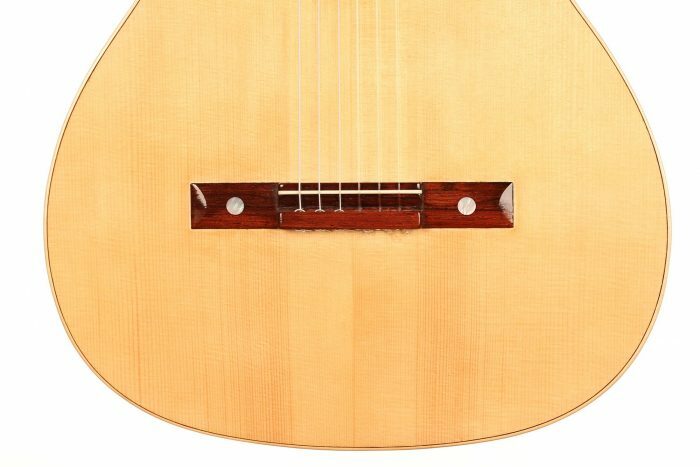 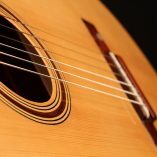 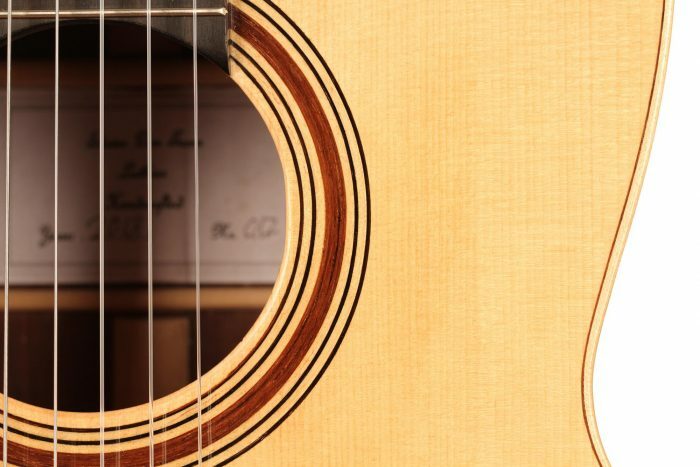 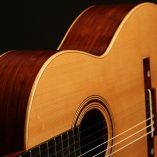 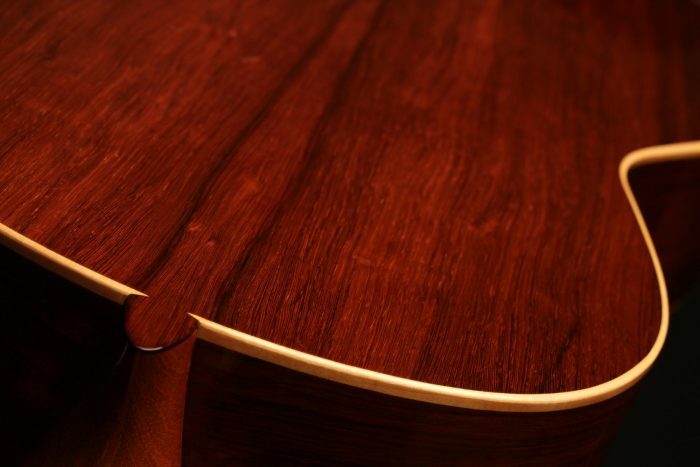 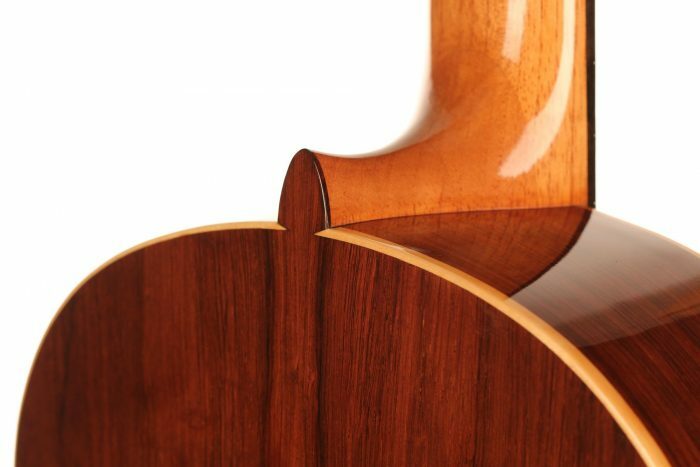 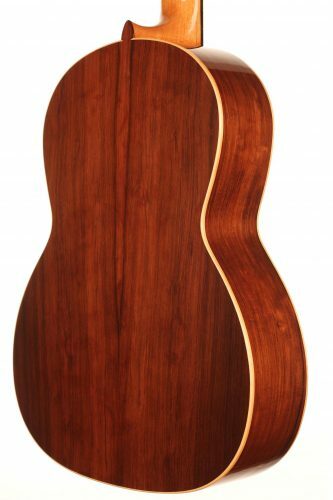 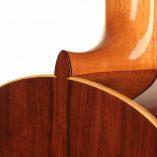 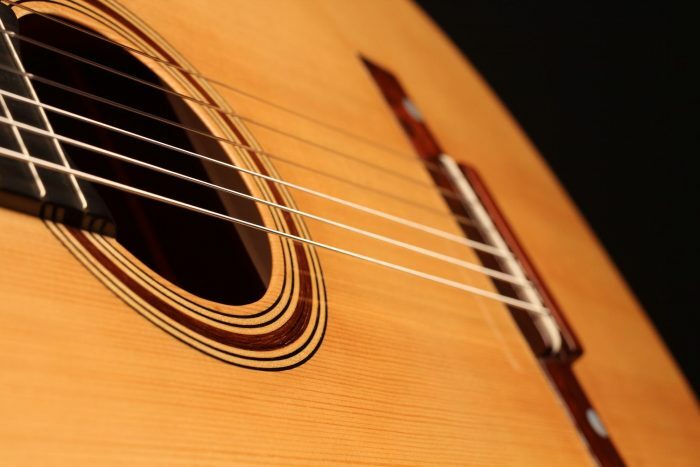 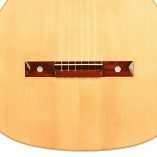 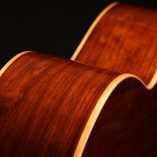 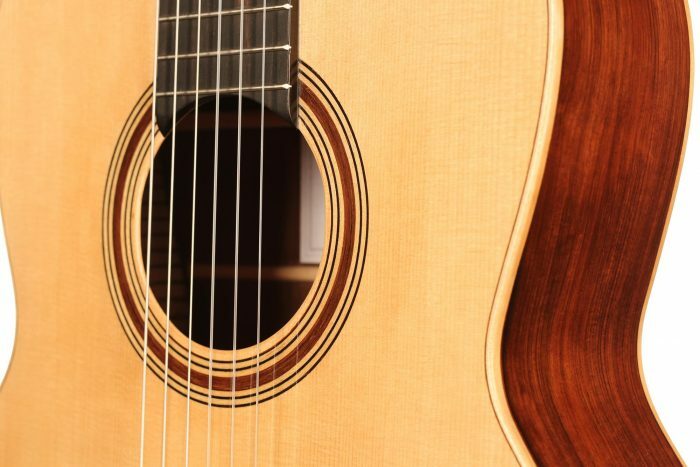 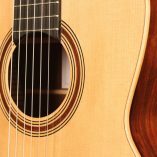 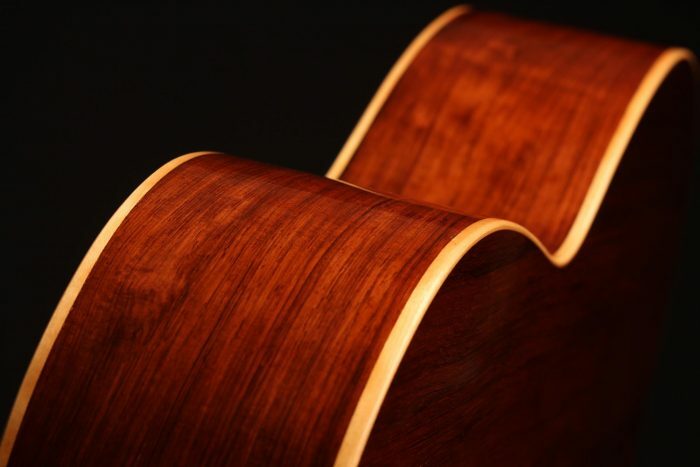 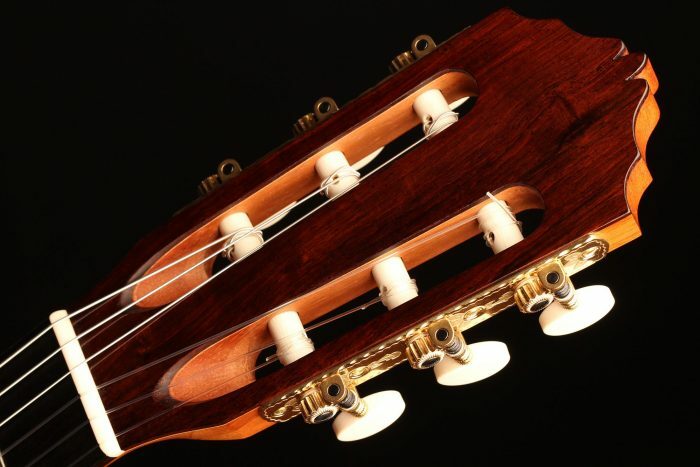 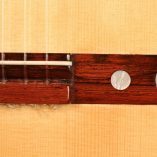 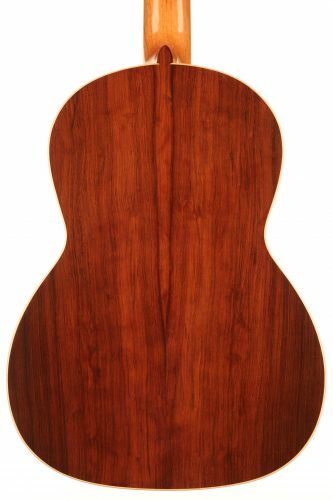 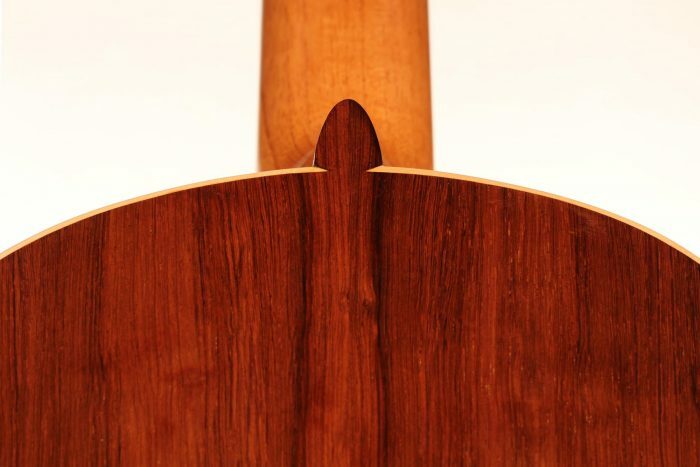 A thinly worked neck as well as a 50 mm wide nut enhance the playability of this guitar and make it both a very comfortable and generously sounding instrument.